The health systems of six Latin American and Caribbean countries have made substantial progress toward universal coverage — providing free or subsidized healthcare to the majority of their populations — but continue to face challenges managing more complex health needs such as those related to cardiovascular disease, cancer, stroke and depression, a new study from the UCLA Fielding School of Public Health and the Inter-American Development Bank finds. Though the health systems in Brazil, Colombia, El Salvador, Jamaica, Mexico and Panama have considerable strengths, citizens still reported gaps in the way primary care is organized, financed and delivered in those countries. People reporting greater problems accessing primary care also reported receiving effective and timely healthcare or basic preventive measures such as blood pressure and cholesterol checks less often. People’s experiences of primary care also translated to their assessment of the entire health system; those who had better experiences at the primary care level were less likely to say that their health system needed major reforms. 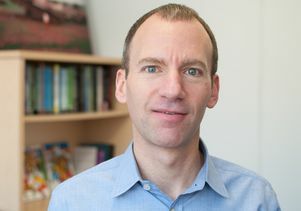 “The fact that these countries are facing an increased burden of chronic conditions will ultimately affect their economies without continued social investments and that can be a challenge during the current economic slowdown,” said James Macinko, professor in the departments of health policy and management and of community health sciences at the Fielding School and the study’s lead investigator. The study appears in the August issue of the peer-reviewed journal Health Affairs. Frederico Guanais, lead health specialist at the Inter-American Development Bank and the study’s co-principal investigator noted that while there is “no one right way” to organize a health system, investments in universal health systems with a strong emphasis on primary care have been shown to result in better health and more equitable outcomes across population groups. He added, however, there is still little research into the effectiveness of different health systems’ approaches toward managing chronic conditions. Adapting a version of the 2013 Commonwealth Fund International Health Policy Survey, 9,000 participants from both rural and urban areas in the six countries were asked about primary care accessibility, continuity, patient-centeredness, problem resolution, and coordination of care. Overall response rates ranged from 29 percent in Colombia to 44 percent in El Salvador. Less than 10 percent of individuals were uninsured or uncovered by their health system — 42 percent were covered by their respective national health system, 40 percent were covered by social security, and the rest had private insurance. Two-thirds believed that their health systems did not need major reform. About 40 percent rated the quality of care from their general practitioners as very good or excellent. Nearly 80 percent reported no major barriers to doctor visits or prescribed treatments due to cost or scheduling problems. 55 percent reported no communication problems with their doctor. 61 percent could schedule an appointment by phone. Two-thirds said that their primary care doctor knew their medical history. 72 percent said that the doctor gave time to ask questions. 74 percent said their doctor explained things well. 59 percent thought their regular doctor could solve most of their health problems. More than one-third of respondents had at least one chronic condition. Nearly 20 percent rated their health as fair or poor, with no significant differences across countries. Only about 50 percent had a regular or usual source of care. 75 percent said that it was difficult to receive primary care on weekends. Only slightly more than one-third were up to date with basic preventive exams. Nearly 50 percent went to the emergency department for a condition they considered treatable in an ambulatory care setting. Nearly one-quarter were readmitted to the hospital. Almost one-third had to wait eight weeks or more to see a specialist or wait more than five days for a primary care appointment. Only 39 percent reported their doctor helped coordinate their care. The study has some limitations. 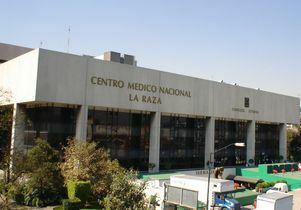 For instance, it was a cross-sectional study based on self-reported data, so the researchers could not assess causality between the peoples’ experience of primary care and aspects of their health systems; response rates were reasonable but somewhat low; country comparisons might have been complicated by different perceptions of the need for healthcare; and recent economic and political crises may have influenced people’s responses. The Inter-American Development Bank supported the data collection for this study. The co-authors are Frederico Guanais of the Inter-American Development Bank, Pricila Mullachery of New York University and Geronimo Jimenez of Nanyang Technological University in Singapore.